Earlier in April 2017, Sarah Kenderdine, Professor at University of New South Wales Art and Design, was the guest lecturer for three talks across New Zealand as part of the Futuna Lecture Series. I went along to the Christchurch lecture at The Piano Auditorium, where Sarah talked about her research into digitally interactive and immersive experiences within the arts and sciences. Amalgamations of cultural heritage with new media art practice and augmented reality in galleries, museums and libraries she creates new ways of experiencing data and historic sites. Sarah is not an architect, but an archeologist working on numerous heritage sites around the world including China, India, Myanmar and Sri Lanka. 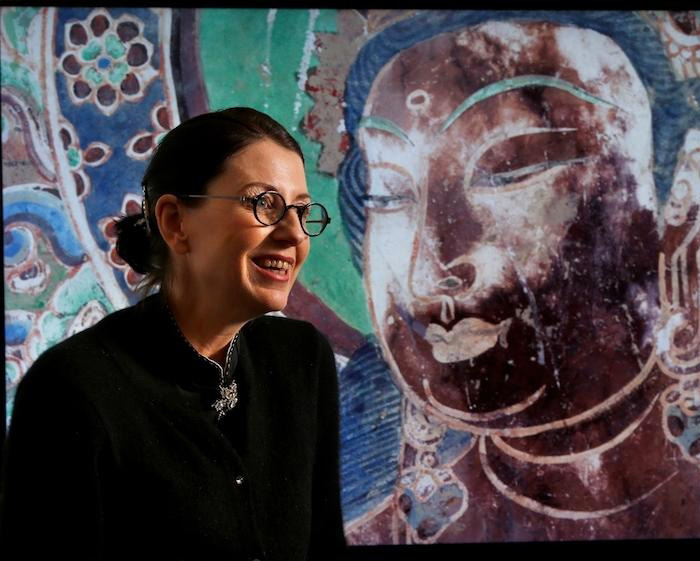 She was awarded her PHD entitled “in-situ: Immersive Architectures for the Embodiment of Culture and Heritage” at RMIT in 2010 and is at the forefront of new methods of digitally capturing and publicly exhibiting built and cultural heritage through interactive augmented reality in libraries, art galleries and museums all around the world. Her laboratories work on the application of high fidelity data acquisition technologies, new virtual environment design (portable and permanent installations), computer graphics, data mining, high-speed networking, visual and sonic analytics and knowledge visualization—to reframe engagement with tangible and intangible heritage. Sarah is not well known in her home country of New Zealand so the Trust is very excited to be able to provide her with an opportunity to present her work to a New Zealand audience. Her lecture is entitled “Architectures for the Senses: Cultural Heritage in the Age of Experience”. She will talk about her research work at the forefront of digitally interactive and immersive experiences. She amalgamates cultural heritage with new media art practice in the realms of interactive cinema, augmented reality and embodied narrative. She is a pioneer in the fields of digital heritage, digital humanities and big data visualisation. Sarah is Professor at University of New South Wales Art & Design where she is the founding director of the transdisciplinary Expanded Perception and Interaction Centre (EPICentre), pioneering new visualization infrastructures and projects across the arts and sciences. 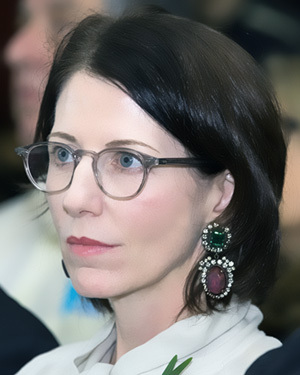 In addition she is the Director of the Laboratory for Innovation in Galleries, Libraries, Archives and Museums (iGLAM), Deputy director for the National Institute for Experimental Arts (NIEA) and Head of Special Projects for Museum Victoria since 2003. • Inaugural Australian Arts in Asia Awards Innovation Award in 2013. In 2016 Sarah was elected President of the Australasian Association for Digital Humanities. In 2017 she will take up the position of professor in Digital Museology at École Polytechnique Fédérale de Lausanne (EPFL), Switzerland. … and click here for her Ted Talk.